My answer may be surprising, but if I had to choose one of my most versatile grilling accessories, it would be the Gourmet Barbecue System™ Griddle. Yes, you read the right, the griddle. Food tastes better on the grill. Unfortunately, not every type of food is made for the grill. Enter my cast iron friend. The griddle is the best way to add grilled smokiness to a dish without fear of losing something through the grates. I’m always looking to take a meal from the stovetop or oven and adapt it to the grill. More often than not, the griddle helps makes it happen. The word “griddle” is already synonymous with breakfast. 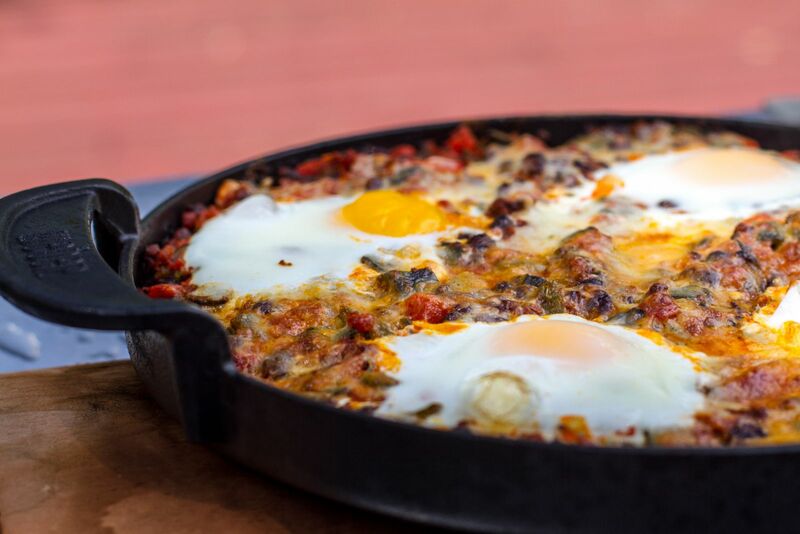 While fried eggs, bacon, and pancakes are a perfect morning tradition, the griddle is just the dish for something a little more interesting like Huevos Rancheros. With direct and indirect heat, the griddle can both fry and bake, all on the grill, all before the sun rises. Years ago, I would make a plate of nachos and stick them in the oven. Once I came to my senses and tried to forget the errs of my past, I realized the only place to properly make nachos is on the grill. 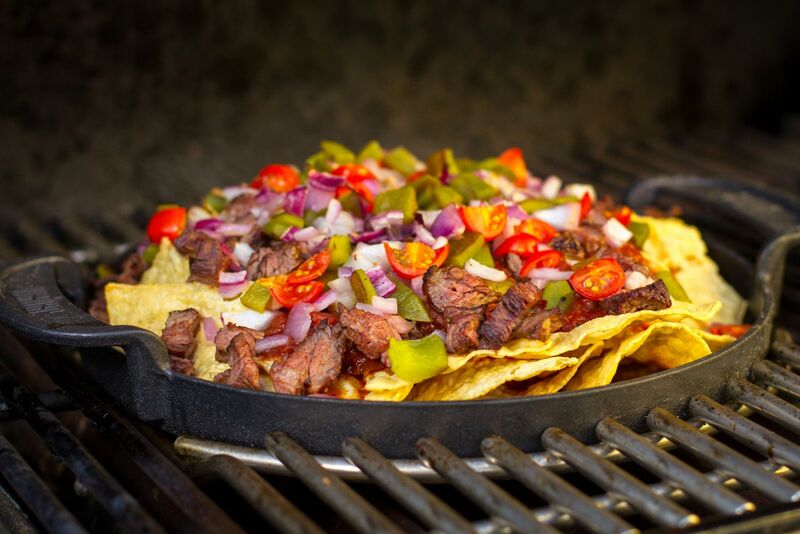 Using the griddle with layers of crisp tortillas, fresh salsa, and grated cheese, grilled nachos are the ultimate mid-day snack or appetizer for the big game. 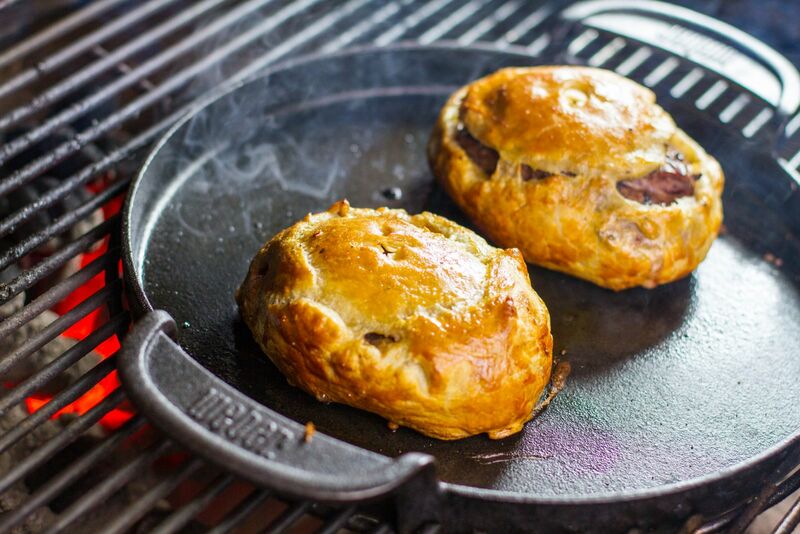 One of my more unique ways of using the griddle is with my kettle when I “grill” Beef Wellington. It’s a process that requires both direct heat for grilling and indirect heat for baking. The tenderloin fillets are grilled on the grate and then after being wrapped in pastry, placed on the griddle for the bake. The griddle is a great conductor of heat, and its surface is more suited for the puff pastry than the grates of the grill. The griddle. No matter the meal or the time of day, it’s the one Gourmet Barbecue System accessory I always reach for first.